When I imagine her she’s always sitting at a kitchen table I don’t recognize. Her dress is white and shapeless, nothing that would make it memorable. Her wings are casually tucked behind her, resting on the back of a standard issue wooden kitchen chair. She has her left leg tucked up underneath her and her right leg crossed over that knee. She is barefoot and I can see the skin of her legs. I imagine her smoking a cigarette, because my earthly mind believes that our heavenly souls certainly must be much more capable of handling the joy that comes with addiction than these fragile human shells we carry them around in. This cigarette is just giving her the pleasure that kept her human self from being able to stop and not hurting her in any way. There are other angel mothers there. They come to sit with her at her table. They are all dressed similarly, comfortable with their wings. They drink coffee or sip wine and laugh and gossip about us with our ridiculous worries and our ridiculous expectations of ourselves and of others. Stuck in our human shells, wingless souls at the mercy of our addictions and everything else on this earth. Occasionally their visit is interrupted, one of them will stop laughing for a moment to hear a softly spoken whisper from earth reaching across the universe. If only you were here Mom I would know. If only I could talk to you, I would know that it might be ok …. If only you were here. If only you had never left. If. Only. You had never left. I would be ok. The others take a break from their chattering for a moment to give the listener a chance to hear. They fold their wings in closer to their own hearts to feel their perfect angelness and to give thanks for the peace they have at the table. They wish there was more time to share. But the earthbound Motherless never stop sending their whispers. would know that it might be ok …. If only you were here. If only you had never left. If. Only. You had never left. I would be ok. The others take a break from their chattering for a moment to give the listener a chance to hear. They fold their wings in closer to their own hearts to feel their perfect angelness and to give thanks for the peace they have at the table. They wish there was more time to share. But the earthbound Motherless never stop sending their whispers. Enter to WIN a $50 eGift Card to wendymignot.com. Simply fill in the required fields and put your crush, sweetheart, or true love in the comments! Pearl Crush Promo and Give Away! one of three (3) $50 eGift Cards – Just enter your “Crush”, your love, or sweetheart in the comments! Who needs a guy! I’ve got a “Pearl Crush”! Fall in love with Wendy Mignot Fine Pearls + Leather Jewelry this Valentine’s Day and stand out. You definitely won’t find these in the mall! Each piece is handcrafted by the designer and made in the USA. With over 250 different necklaces, bracelets, anklets and earrings to choose from there’s something sure to fill that Crush! 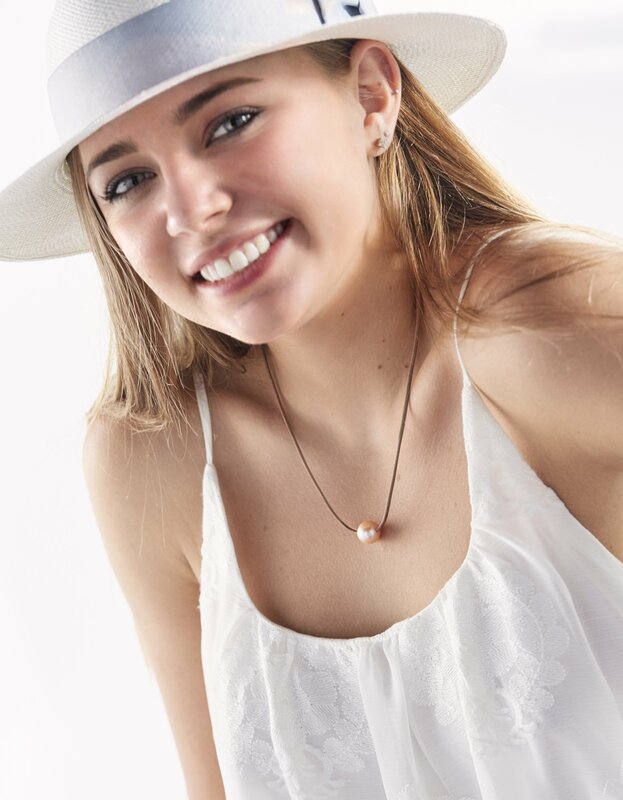 If you are new to the Mignot Tribe here are a few tips from Wendy Mignot, the artist, to keep in mind when selecting the perfect Wendy Pearls piece. Your size, your style, and of course your budget based on your relationship. 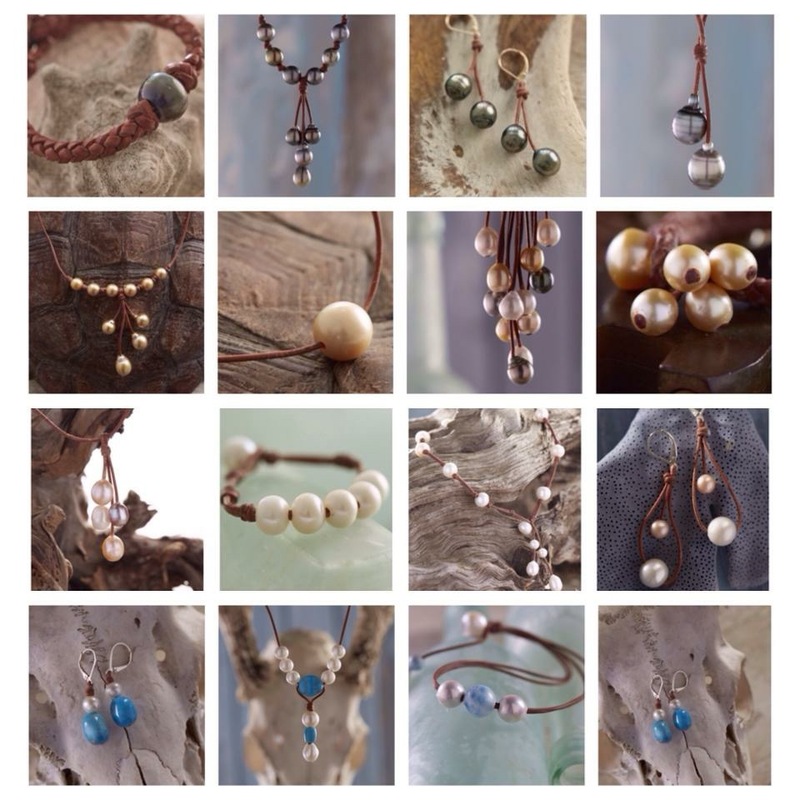 Wendy Mignot offers sizes from 14″ chokers to very long strands of pearls. Go with what looks best on you. Taller girls can really rock some of the longer pearls and you petite girls can make a single pearl stand out like a star all on its own! Check out the “Illusion” necklace. Are you conservative or do you have a gypsy spirit, if you’re like most you’re somewhere in the middle. The all Around the world, our take on a classic strand of pearls is perfect for the office. The Mosey, Synergy, or any of the “Rain” pieces are a great go-to piece for dinner and drinks. The single, three and five pearl designs are easily worn every day for going to your kids games, and all the things that busy moms do. 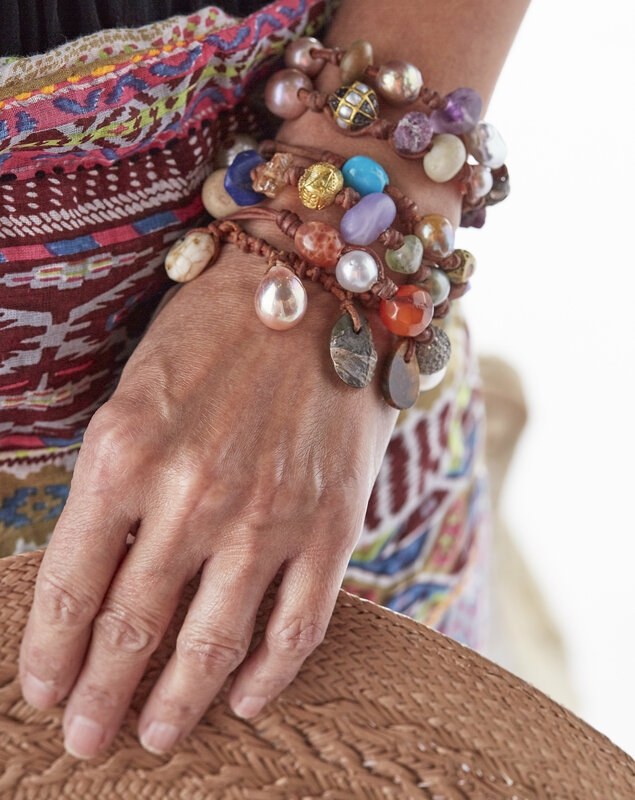 For the Boho girl, the “One Eye Love” Collection is inspirational and the “Gypsy” Collection with its mix of gems and pearls is artsy and unique. 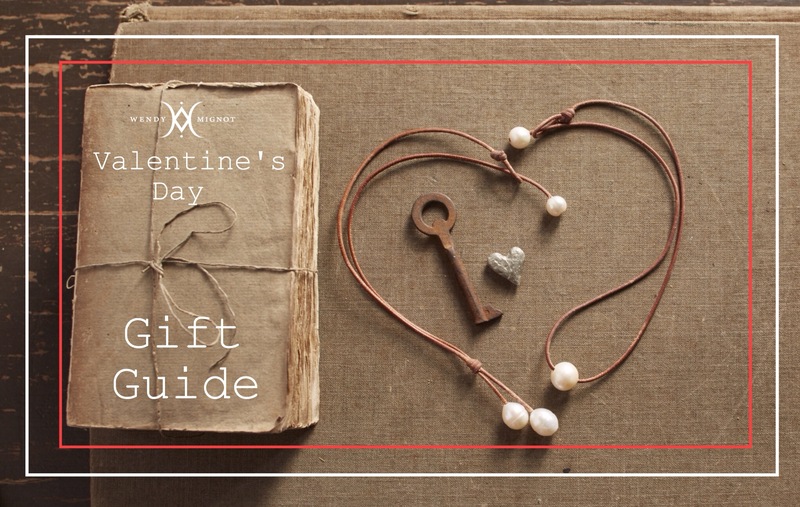 Your personal relationship and the extent of your crush should determine your Valentine’s Day budget. 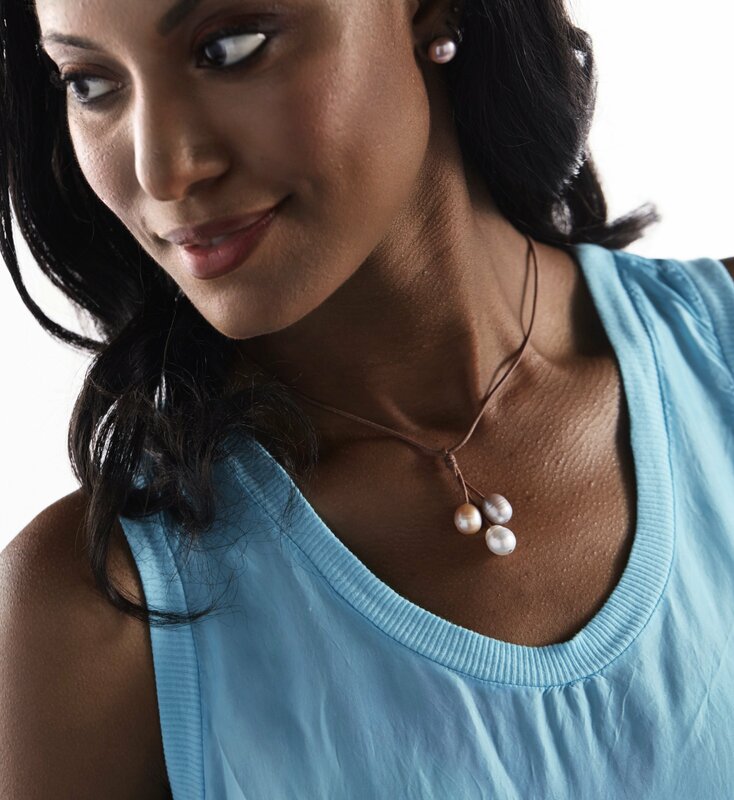 From our Coastal collection with pieces starting at $75 to our Society Collection with the rarest of South Sea and Tahitian pearls, saying how much you mean is easy. 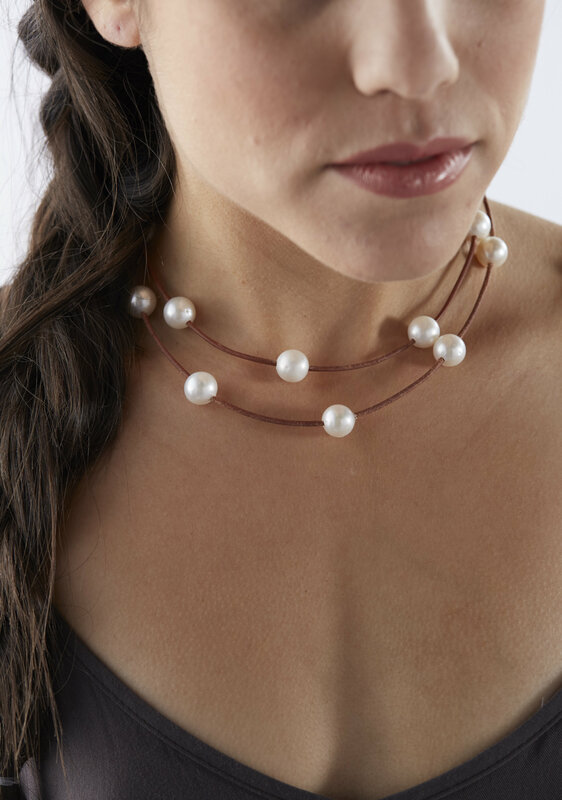 Wendy has designed several “Versatile” pieces, the “Wendy Signature” design as well as the “Versatile 4, 6 or 8 Pearl” necklace can be worn multiple ways which make them great pieces to begin your pearl+ leather collection and satisfy that Pearl Crush. Always be sure to check what size you are. for a necklace or bracelet (just measure your favorite piece of jewelry) …and remember that earrings fit everyone. After all Pearls + Leather = True Love Forever! YOU CAN WIN ONE OF THREE (3) $50 eGift Cards – Just enter your “Crush” in the comments! After a summer of sailing the Caribbean with Jean Noel, followed by a retreat and trunk show at Blackberry Farm, I am now home in South Walton. I delight in the arrival of the fall season, a quieter time of peace and reflection. I hope that you too had an enjoyable, fun-filled summer and this correspondence finds you and your family well. You may have seen Brian Kelley of Florida Georgia Line wearing Wendy Mignot Designs on his “Dig Your Roots” Fall Tour as he appeared on Good Morning America, The Today Show and TheTonight Show. Maddie and Tae, the American female country music duo, are also rocking Wendy Pearls. We are looking West this season-California, Colorado, Arizona in particular. Send us your favorite boutiques in these regions who you would like to see showcase Wendy Mignot Fine Pearls + Leather Jewelry®. Please email: pearls@lvebseaside.com.HAPPY ANNIVERSARY! My name is Callie Clark-Wood. 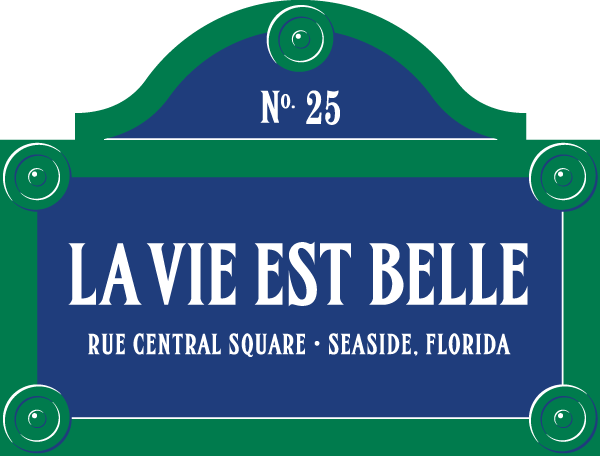 I worked at La Vie Est Belle as a sales associate in 2011 and 2012 while I was working on my master’s degree in Curriculum and Instruction in Reading and Language Arts at FSU in Panama City. For part of that time, I was also working as a research assistant for the Florida Center for Reading Research. Currently, I am a third grade teacher at Butler Elementary School. Since working at La Vie, I have taught 1st, 2nd and 3rd grade. This is currently the start of my fifth year teaching. I hope to one day become a reading or curriculum coach, but want to have at least a couple more years’ experience in the classroom before taking on this type of position. The most beneficial skill I gained from working at La Vie Est Belle, was to learn to connect with everyone I met. All types of people from all over the world are drawn to Wendy’s designs and I always tried to find a connection with each of them in order to personalize their experience at the gallery. It was a great skill to develop and I now use that in many aspects of my life and current career. The first piece I got was a pink versatile necklace. I was always the person that wore my traditional strand of pearls with everything, even jeans and a t-shirt. Before I even worked for Wendy, I went into the gallery. When I saw the unique design, and the beautiful color, I knew I had to have it and saved for weeks to make it happen. It was the first “real purchase” I made after graduating from college and trying to make it on my own. If I could say anything to Wendy, I would say thank you for welcoming me at a time when I really wanted to make a change in my life and go back to school for my master’s degree. I felt supported and know that she has never stopped rooting for me. The beautiful Callie is just the beginning of this stroll down memory lane. Stay tuned to see who is next! Over the years La Vie Est Belle has been the stepping stone for many on their lives journey. The employees of La Vie Est Belle, like the jewelry, are all one of a kind. They bring something to the store that is beautiful and welcoming. They bridge the gap between the customer and the jewelry, and through that bridge relationships are formed. To the employees La Vie Est Belle isn’t just a job, it isn’t a place that you go because you have to, and it isn’t a place that makes you feel like you don’t matter. La Vie Est Belle is a home, it is somewhere that you know that no matter how long you were gone that you are always welcome back. No questions asked. It is a building block, a place that will shape you into the person that you always wanted to be. A place where you can go if you need support. A family, people that will support you and have your back no matter what. The kind of family that thrives on being different. At La Vie Est Belle we are anything but “cookie cutter,” we accept everyone and love unconditionally. I myself have been an employee of La Vie Est Belle for many years, over those years I have had the opportunity to create friendships that I will cherish for the rest of my life. During this time I began to notice something, and it started to weigh on my mind. Customers are always curious as to “what happened” to that one special person that sold them their first or their most treasured piece of jewelry. Well for those of you who have been asking, your wait is over. I am going to reach out to past La Vie Est Belle employees and find out just “Where Are They Now?” This is going to be an ongoing blog that will reach into the lives of those special employees that have helped to develop La Vie Est Belle into the business that we all know and love. I ask that you join me on this stroll down memory lane, I’m sure you won’t be disappointed!